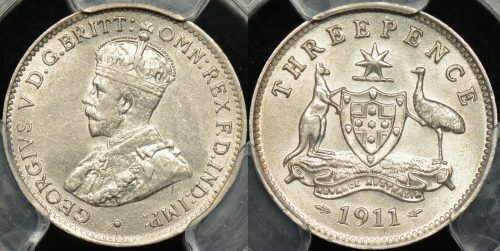 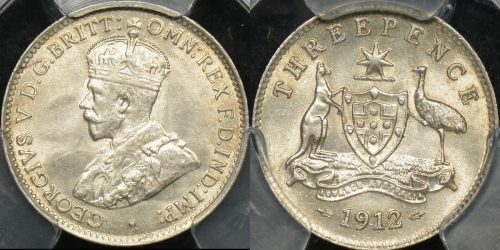 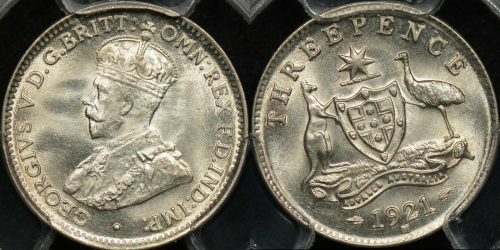 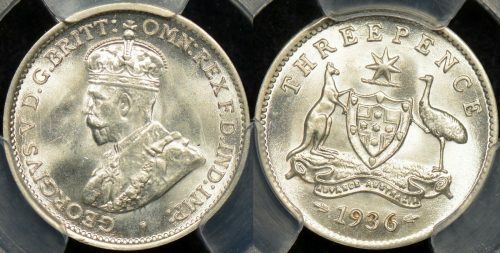 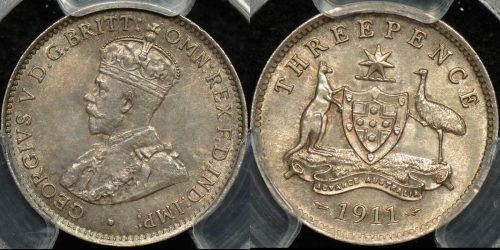 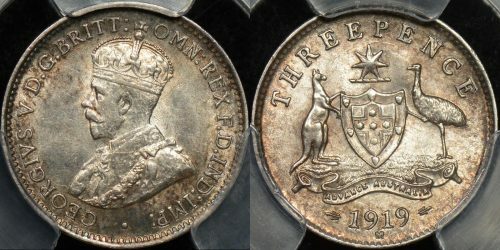 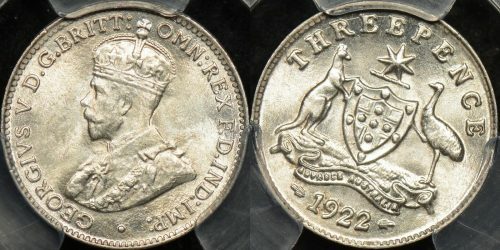 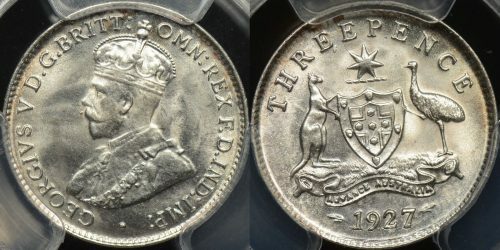 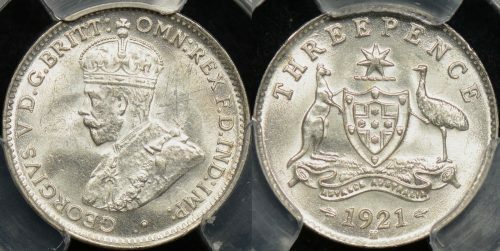 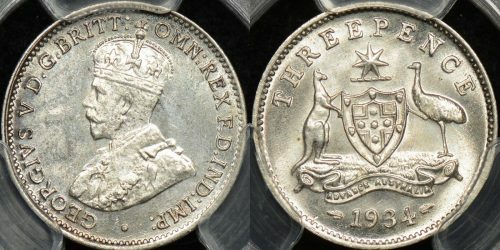 The Australian threepence was minted from 1910 to 1964. 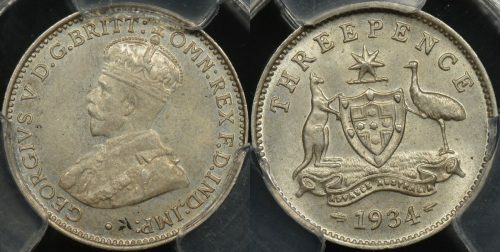 The smallest of the Australian pre-decimal coins they suit the collector with an eye for detail. 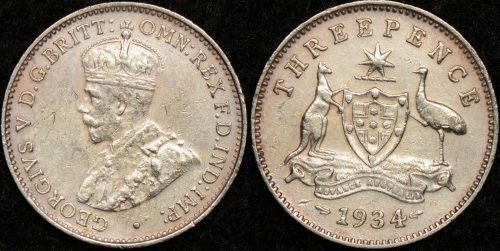 The Purple Penny stocks a full range of 3d’s ranging from crisply struck 1911 examples with razor sharp emu feathers through to the chrome die struck and intensely lustrous examples of the late 1950’s and 1960’s. 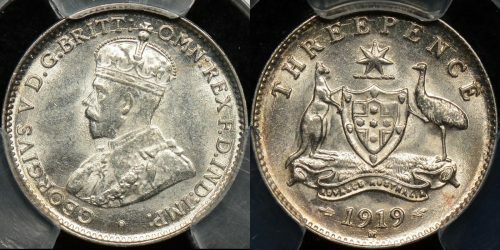 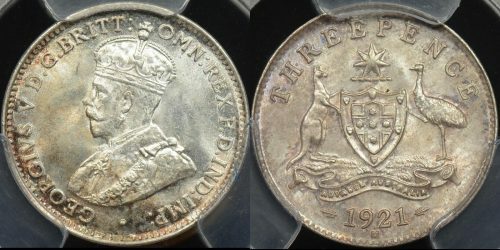 A collector looking to put together a portrait set of threepences might look at a 1921M, a San-Francisco or Denver struck example from the 1940’s, and a well struck 1956 threepence bearing the portrait of QE2. 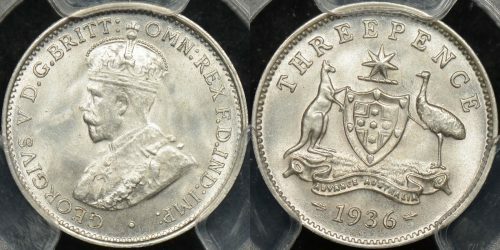 Key dates in the series include the 1915H and the 1942M coins. 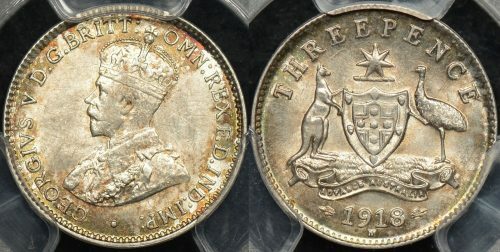 However, the true darling of the series is the 1922/21 overdate. 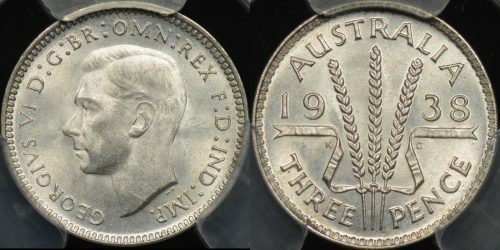 The 1934/33 overdate 3d is much more common but still highly sought after by collectors. 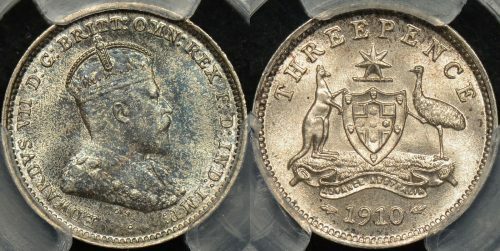 As with all our Australian pre-decimal coins where possible we get our coins impartially graded by a third party, either PCGS or NGC.